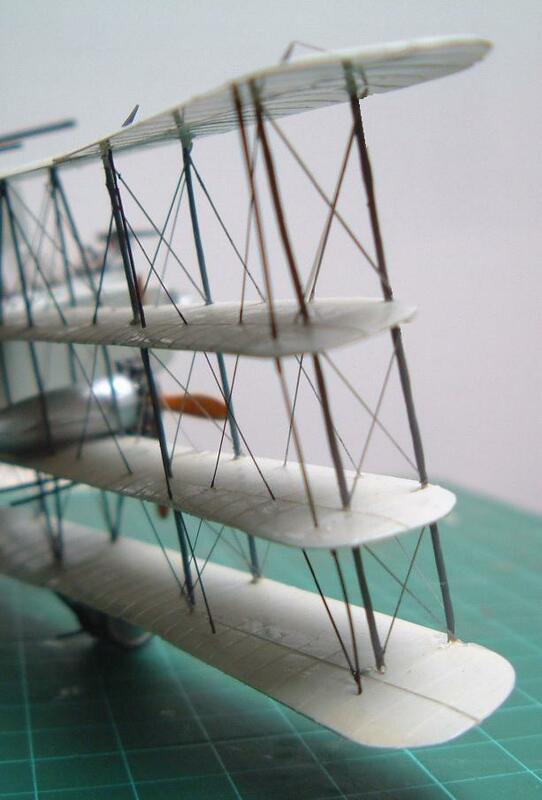 The Pemberton-Billing 31E was built to counter the Zeppelin menace. 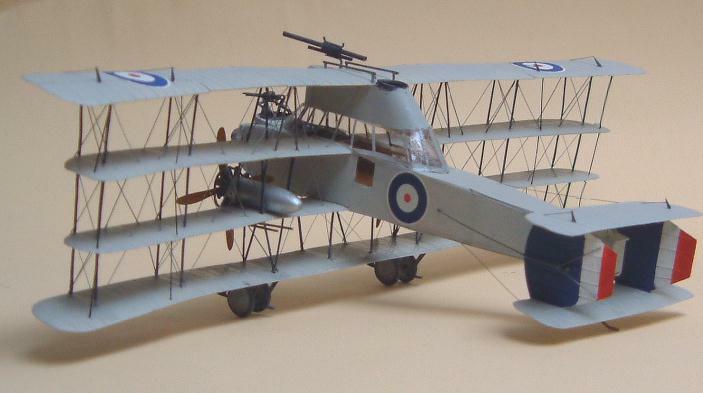 A prototype for an anti-Zeppelin fighter had already been tested when Pemberton-Billing Ltd. became Supermarine Aviation in December 1916. 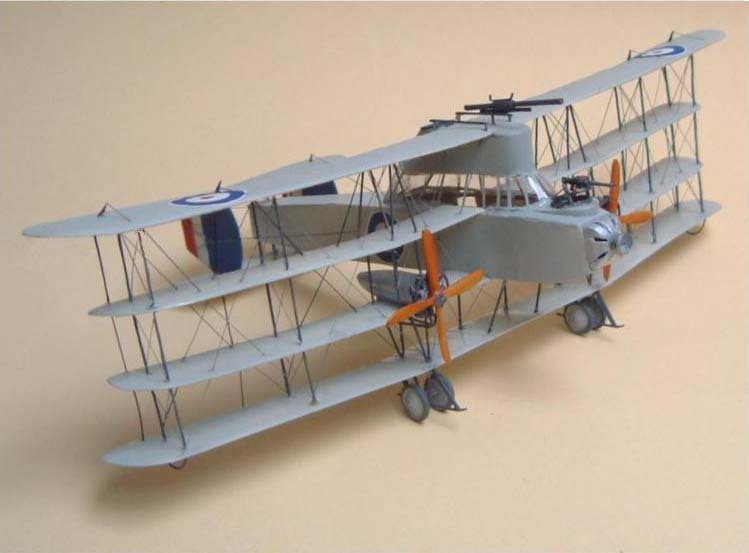 By February 1917 the 31E Nighthawk was ready to fly. 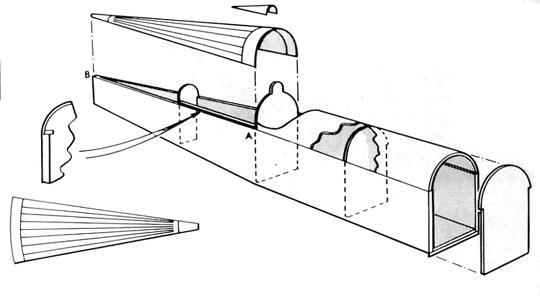 The quadruplane layout was used to get more lift to enable the aeroplane to reach the high altitude at which the Zeppelins flew. 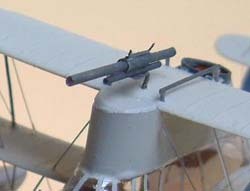 The new aircraft was to be equipped with the Davis recoilless 2 pounder cannon. This amazing weapon consisted of two equal-length barrels firing two charges at once to counter the recoil. However the rear firing counter charge shot out a lethal flame that would destroy any part of an airframe near it! They were also hard to load, aim and fire; not an ideal weapon to say the least. 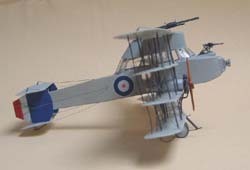 The aeroplane was also equipped with a big searchlight mounted in the nose powered by a petrol engine mounted behind it. The heated cockpit could accommodate a crew of five with a bunk which may have been needed as flights were to have lasted up to 18 hours. The eccentric Noel Pemberton-Billing envisioned a whole fleet of Nighthawks prowling the skies like a wolf pack to shoot down the dreaded Zeppelin. In reality the whole concept was fallacious and it ended in failure but not before one of the oddest aircraft ever designed was built. 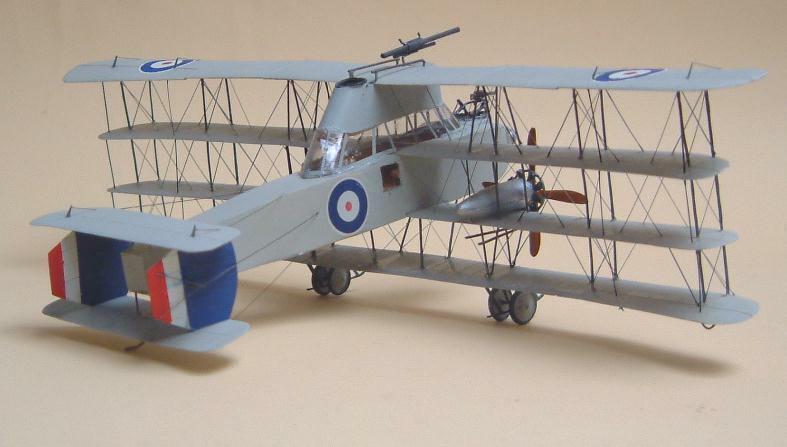 To top it off Reginald Mitchell was part of the design team; a far cry from his Spitfire 19 years later! Modelling the Nighthawk proved to be quite a challenge, mainly because of the dearth of information and lack of photos of the real aircraft. Surprisingly I did find a little set of drawings on the Net and once these were printed to 1/72 scale I ready to go. I started construction with the fuselage. The basic shapes were taken off the plan which consisted of two sides and top and bottom. I cut these from 15 thou plastic sheet. I then cut formers out of 40 thou sheet and glued them into position on the sides and when dry glued on the bottom. 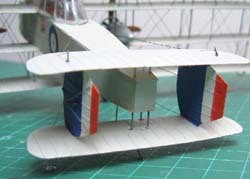 The top was added after cutting out the large opening for the cockpit. Next I carved a wooden plug in the shape of the glazed area and plunge formed a moulding from a sheet of 10 thou clear plastic sheet. This was trimmed to fit and set aside until it was time to mount it on the fuselage. Another wooden plug was carved in the shape of the fuselage nose and a moulding made from it. Once this was trimmed, ventilation slots as shown in the plans were carefully cut out. 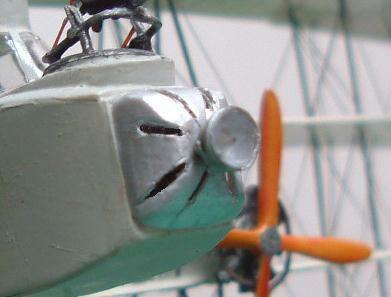 After the basic fuselage was cleaned up the nose was glued on. I put a floor in the cockpit and added two pilot seats and two more in the rear area. 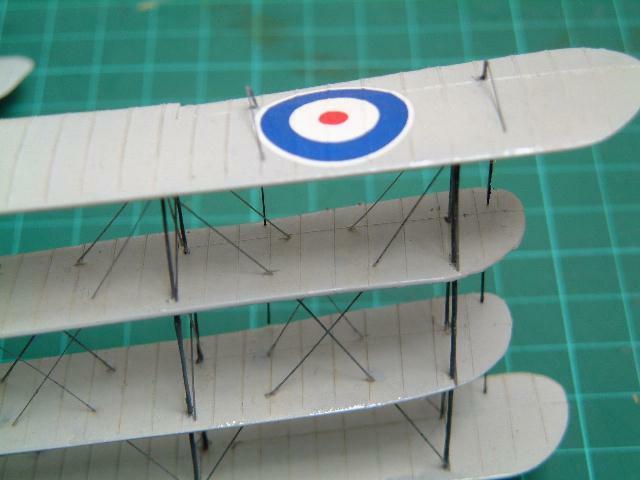 With the fuselage nearly finished I turned to the flying surfaces, namely the four wings. The Nighthawk wings were all swept back so I decided to make each wing out of three pieces; a centre section with sweptback outer sections. Not only were the wings sweptback but there were three different lengths; the top, the longest, the two middle ones the same length and the bottom, shorter than the top but longer than the middle. I cut 12 wing blanks out of 40 thou sheet. Since the top wing had the largest cord I decided to give it some camber ala Harry Woodman’s method of a jig dipped in hot water. I gave the other wing sections a camber shape by sanding the blanks down from the top with an Aeroclub T-al section sanding block. This was also done to the top wing. To finish them I used 800 grit wet’n’dry paper to achieve a smooth finish. Once I was satisfied all the pieces were given a coat of liquid poly. All 4 sets of wing section were now glued together and left to dry thoroughly. 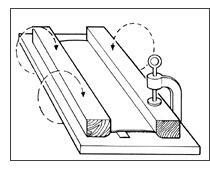 When dry the rib stations were made by laying each wing over the plan and scribing with a number 11 scalpel blade on both sides. With the four wings thoroughly dry it was time to establish the strut locations. I firstly took the location off the plan for the bottom wing and then laid it over the other three wings to mark out the locations with a pointed probe. I drill though the wings but not the top wing which was only drilled part way so as not to go right through. I then made my own homemade “Strutz” struts out of 10 thou diameter brass wire by flattening it on a small anvil to the desired width. This was cut to lengths that would go through all the wings to make one 4-winged cellule. I marked each strut so I knew where to position the middle two wings between the top and bottom wings. On the whole this worked out satisfactorily and I was able to super glue all eight of the interplane struts fairly accurately. When all the wings were together I painted the struts with several coats of thick enamel to fill them out a bit. With the wing cell finished I turned to the tail surfaces. These I made out of 20 thou sheet and scribed them the normal way. 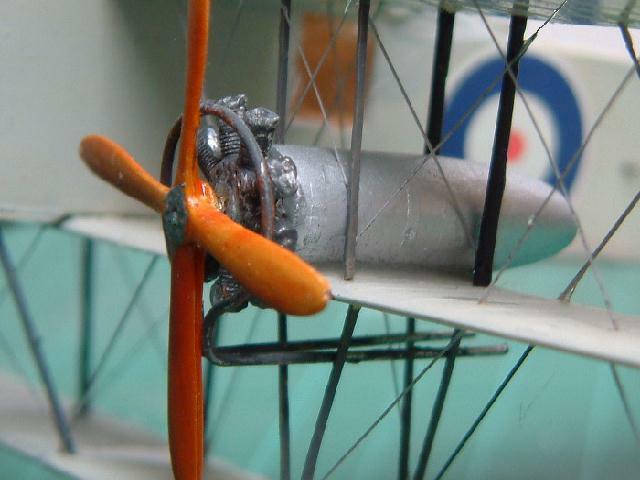 When finished I glued the assembly to the rear of the fuselage using brass wire to support it. 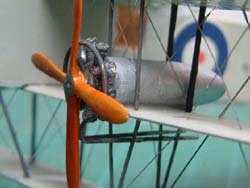 I then airbrushed the fuselage and wing assemblies with Humbrol number 40 light grey. Whilst these parts dried I turned to the engine nacelles. These came from the spares box. I found two wing tanks that had the right shape and length. The engines were two Aeroclub gnomes altered to look like Anzani radials. To these I added exhausts made of soft flower wire. These assemblies were glued to the second from the bottom set of wings with two-part epoxy. Before assembling the wing cell and the fuselage I cut out the central section of the wing situated below the top wing with a razor saw. The fuselage was glued between the two middle wings and left to dry. Next I turned to the cockpit area. Now that the top wing was over the cockpit I could attach the clear moulding I had made earlier. I glued this on using two-part epoxy to get a good solid join between the moulding and the fuselage. Next came filling the gap between the wing and the glazed area. This is a complex oval with a right angle in the front and a more acute angle in the rear matching the angle of the rear of the clear area. It took several tries using 10 thou sheet before I got it right. Once I was satisfied I glued this item between the top wing and the glazed area. To finish off the cockpit I covered the top of the wing and oval shape with a piece of 40 thou plastic sheet. A hole was cut in this for access to the Davis gun that sat over the top wing. The completed area between the top wing and the fuselage was painted grey to match the rest of the airframe. At this point I also added the framing to the glazed area made out of painted clear decal stock. 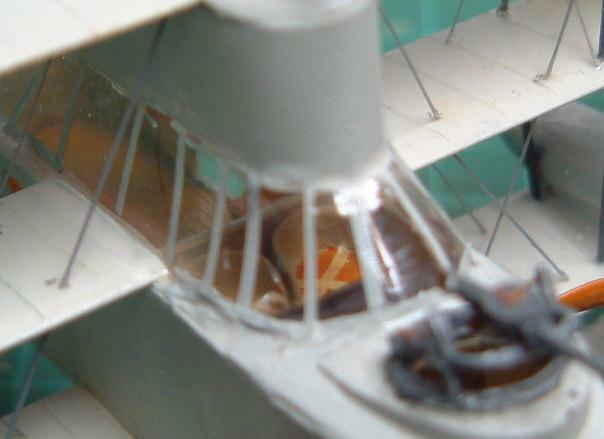 I used some of my “strutz” to make the supports under the fuselage and the lower wing and between the engine nacelles. For the undercarriage I used thin Contrail strut material and made skids out of 29 thou sheet curved at the ends. Wing tip skids were fabricated out of 10 thou brass wire. Turning to other details I made the Davis gun out of the thinnest plastic tube I had and some soft flower arranging wire. 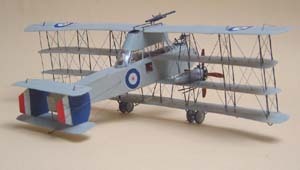 Once completed it was painted tank grey and mounted on the top wing. Two wire handholds were mounted on either side of it. The searchlight housing was a piece of 20 thou sheet plunged over a chop stick. I trimmed it to size and made a rim out of 5 thou sheet. A sliver of plastic became the element and a punching of clear 10 thou clear plastic sheet was used as a lens. The finished light was mounted on the nose. Several Aeroclub items were also used such as the two 4-bladed propellers, 4 wheels, Lewis gun and engines. 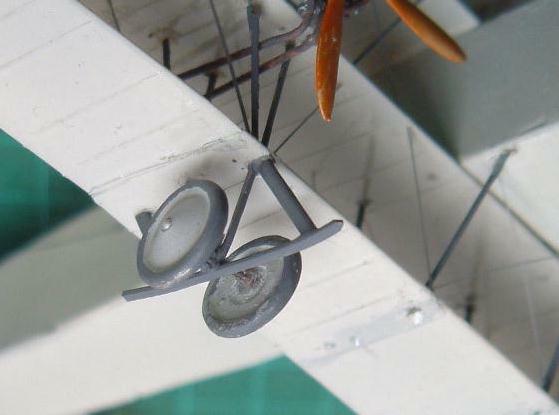 Lastly a tailskid made of flattened brass wire was added to the tail unit. With all the detailing done, the rigging came next. This was probably the most daunting part to scratch building the Nighthawk; the front and rear interplane rigging went THROUGH the wings. 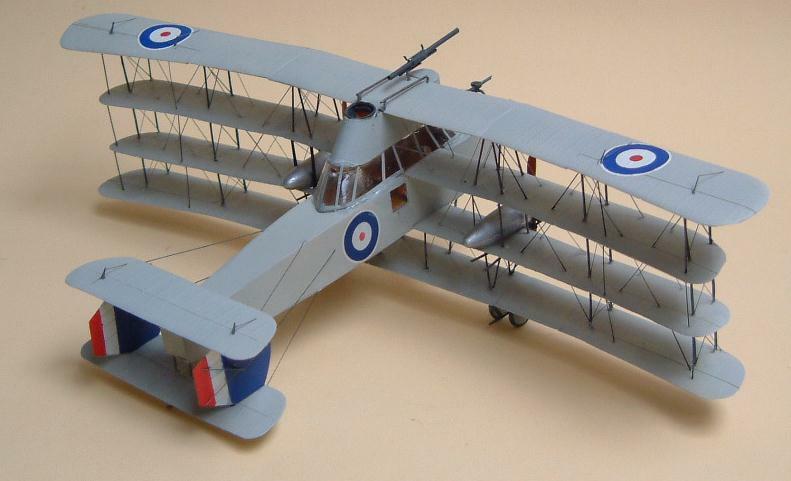 I rigged the entire model with hot stretched sprue, but chose not to drill through the wings. Rather, I marked out where the rigging would go and then measured with a compass the lengths and attached them with white glue. It was equivalent to rigging three biplanes in one. Once I got started though it wasn’t too bad and overall it worked out OK. Actually the hardest rigging was between the 4 sets of ailerons and getting the connecting rods between the four wings straight was a most tedious operation. But in the end it all came together. Well, when I started this project I had thought, “two wings good, four wings better!” I’m not so sure anymore as this has been one of the more difficult models I have attempted. I know it isn’t perfect mainly due to the lack of documentation but I now have a model of the Supermarine Nighthawk Zeppelin destroyer, truly an aviation eccentric. It seems to me that it would not have been out of place in a Buck Rogers serial from the 1930’s! Another funny thing is that its namesake, the Lockheed F 117 is one of the most advanced and successful aircraft ever to fly! Funny old world, ain’t it!